The traditionally made, quick to cook and satisfying Clearspring Organic Udon Noodles are an authentic taste of Japanese cuisine. They are rich in flavour and a great addition to salads, stir fries or broths. What’s more they are low in fat, a rich source of protein, and egg-free. Wheat flour* (86%), water, sea salt. The Clearspring Udon Noodles - 200g product ethics are indicated below. To learn more about these product ethics and to see related products, follow the links below. 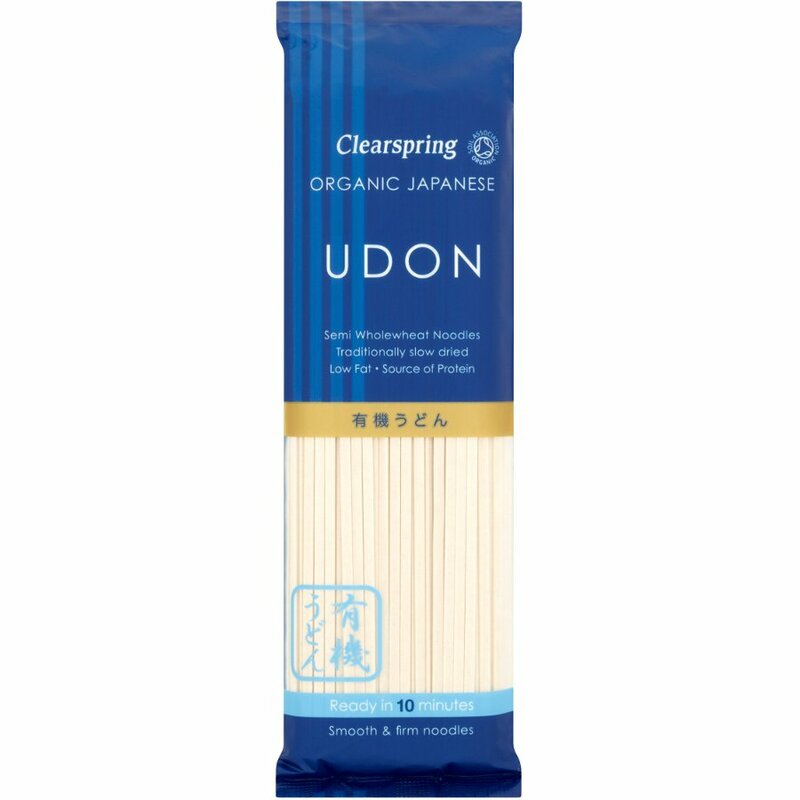 There are currently no questions to display about Clearspring Udon Noodles - 200g.